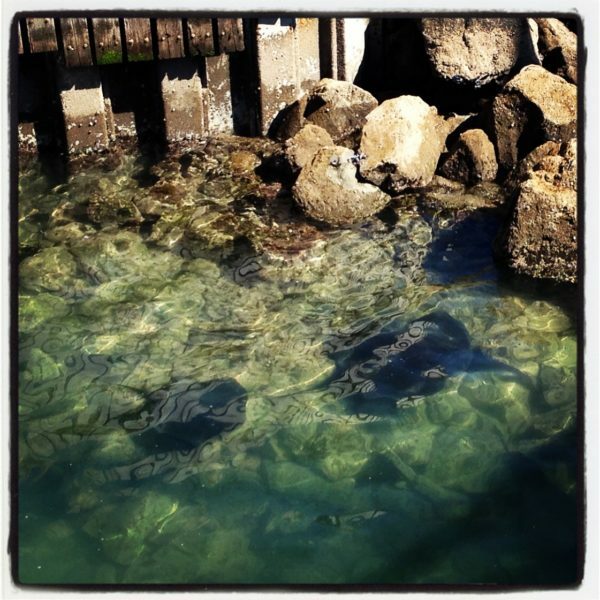 ❤ Nature putting on a show, a stone’s throw from Wellington city, with Stingrays in the lagoon on the waterfront…. ❤ Technology keeping Shakespeare in vogue and making it all the easier to digest (Miss 7 enjoying ‘A Midsummers Night’s Dream’ – reading via ‘Eggspress’ – from Reading Eggs) as well as helping to motivate my home learning daughter with her spelling, grammar, comprehension and writing skills. 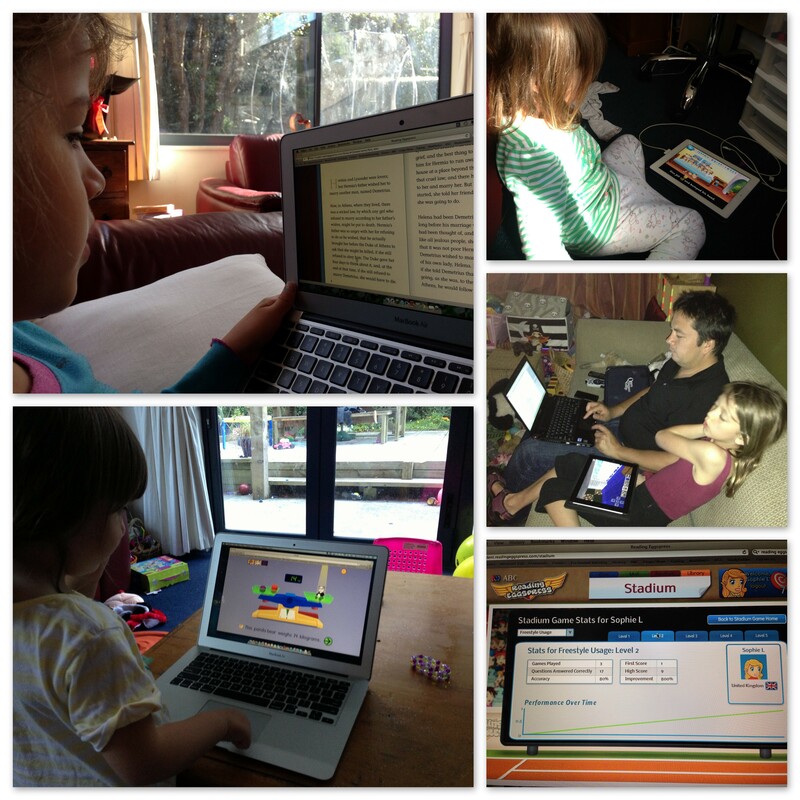 Miss 3 enjoys it too, now that she’s able to work the mouse on the laptop – she also enjoys Starfall Phonics. ❤ Great Apps for Android and iPhone/iPad-toting folks that make learning fun and fill in five minutes, anywhere, anytime – Miss 7 is loving ‘Word with Friends‘, ‘Scramble with Friends‘ and ‘Hanging with Friends‘. 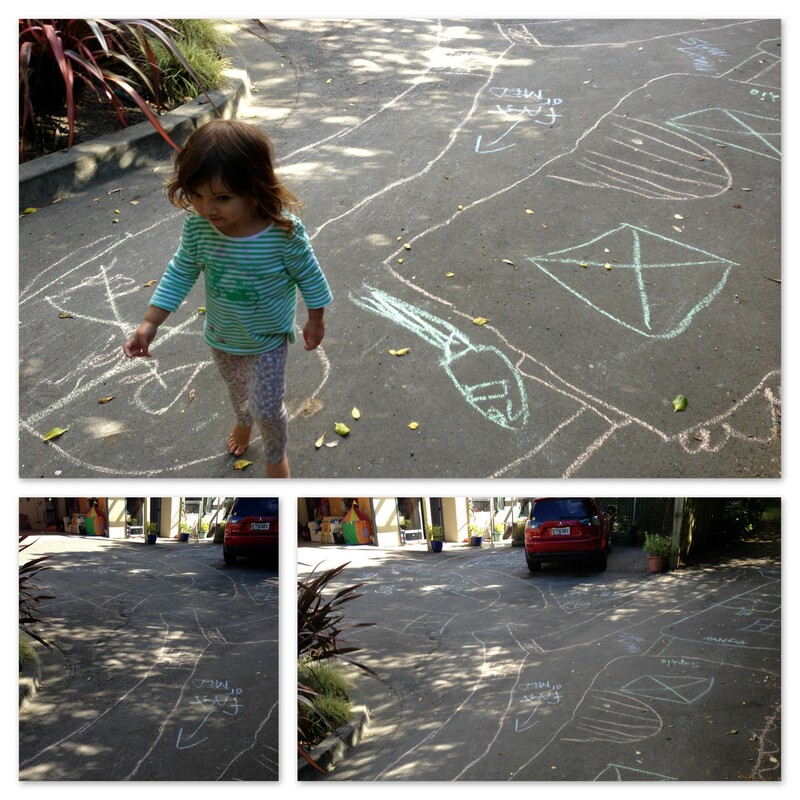 ❤ Chalk town taking over our driveway and filling in hours of evening play time with our neighbour’s children. 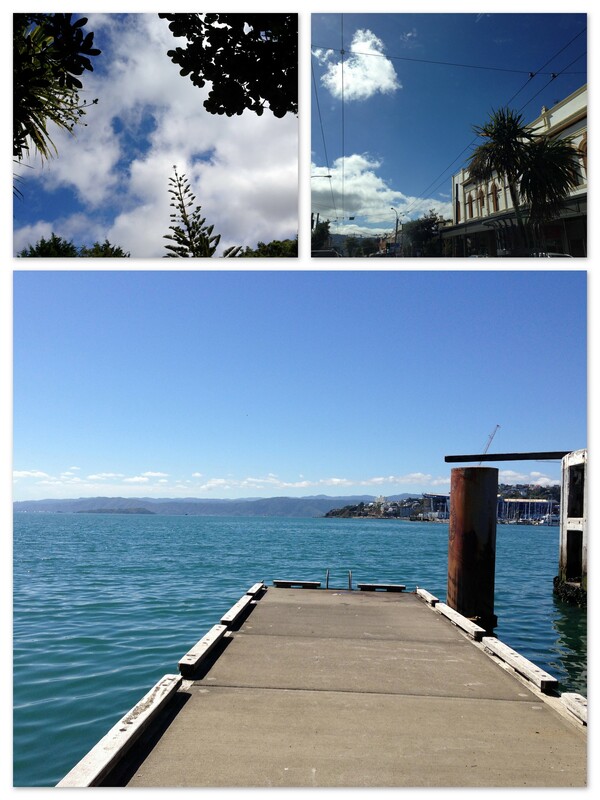 ❤ Cloud chasing and reading stories about rain dancing (we now have a total ban on outdoor water usage in Wellington – useful information on ways to conserve water usage here). 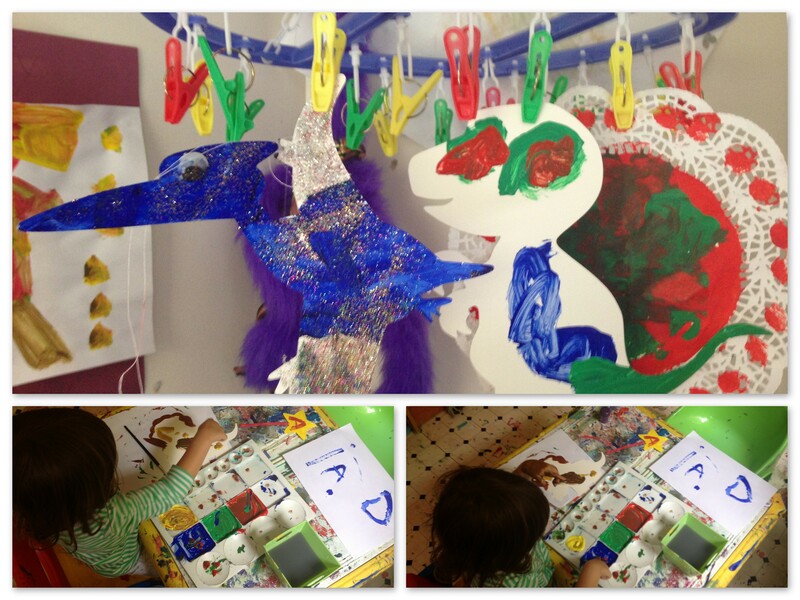 ❤ Bringing dinosaurs and butterflies to life with drawings and paintings. 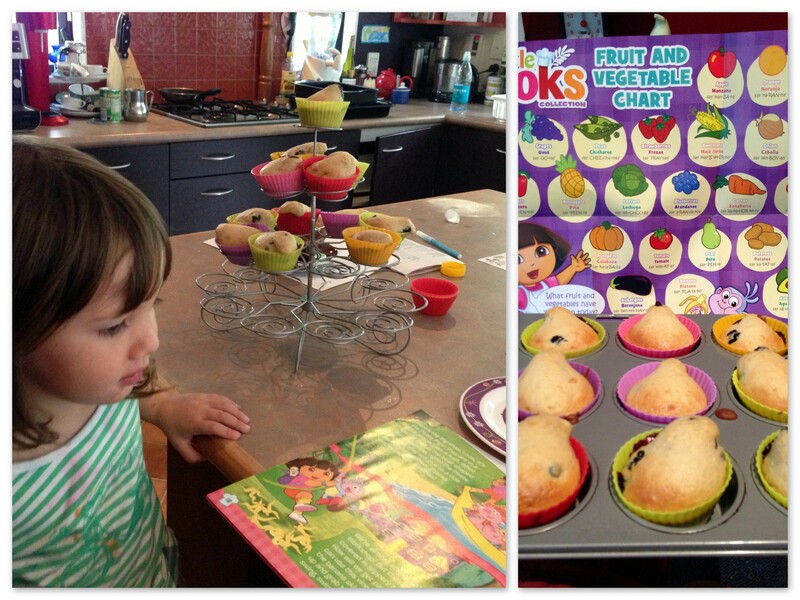 ❤ Baking with ‘Dora’ (I couldn’t resist falling for it – Miss 3, Alice, loves Dora…). The first week has been baking banana muffins, complete with learning about the goodness of fruit and vegetables, where bananas grow, all the healthy treats that can be made with them (particularly like the banana on a stick, rolled in honey and dipped in nuts and seeds idea) and learning a little Spanish along the way (useful for our move to Santa Barbara). 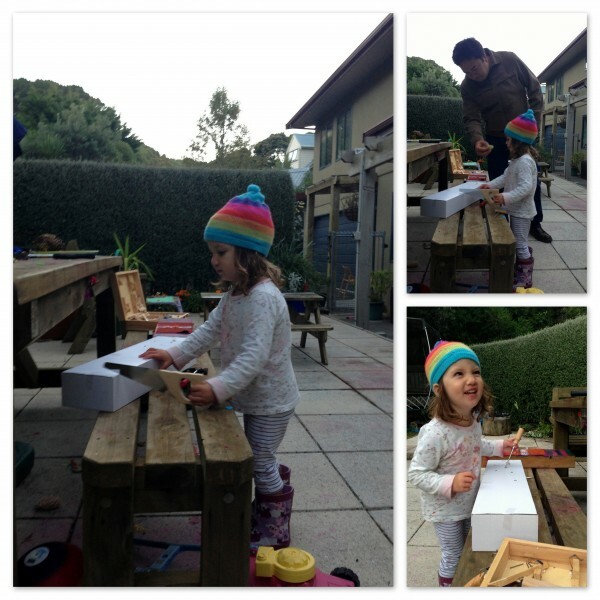 ❤ Alice also loves to play with her sister’s toolset and Daddy was on hand, at dusk one night, to help her work the tools! And to finish up, a ‘Rain Dance’ from Jase & Dave of ‘Classic Hits 97.4 FM‘…. 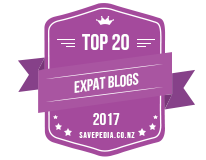 Learning & growing, Loving & Not Loving, Technology home learning, learning, learning to read, Technology, Things I'm Loving, writing. permalink.